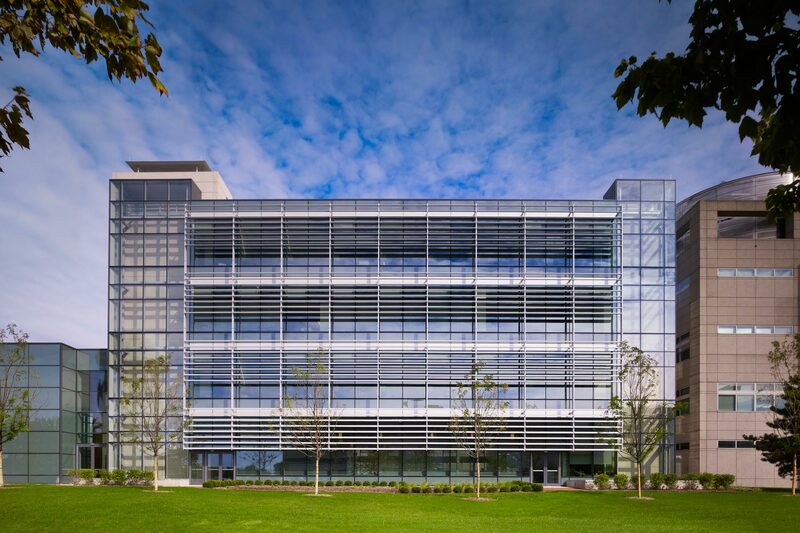 The new home of Loyola University Chicago’s nursing school includes classrooms, faculty offices, hospital simulation rooms, a large student commons, and a dual-purpose study/event space. The design intent prioritized a strong sensory connection to the outdoors in order to enhance the learning environment. 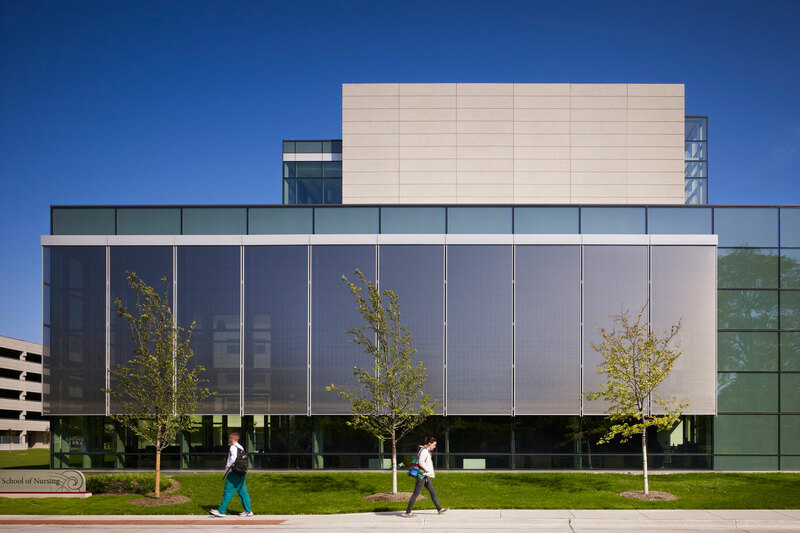 Transsolar’s comfort and energy concept tempers Chicago’s harsh winters and summers while providing natural ventilation and daylight in nearly all occupied spaces – a radical change for a medical campus with mostly ‘sealed’ buildings. The process was supported by extensive daylight, CFD, and advanced thermal simulations. 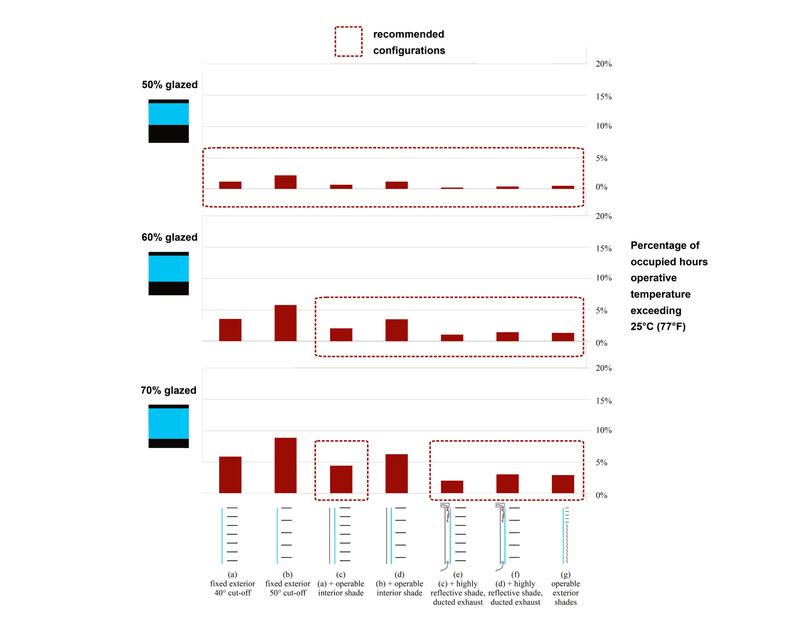 Transsolar’s integrated climate concept includes the first use of precast radiant slab cooling in a building with steel super structure, minimizing overall building height while maximizing floor-to-ceiling height for daylight. Fully automated windows allow for natural ventilation throughout when conditions permit. Solar chimneys affixed to the concrete stair towers drive natural ventilation in shoulder seasons while reversing in winter to preheat ventilation air. A combination of triple glazing and orientation-specific shading developed in response to Transsolar’s recommendations limit heat gain and loss through the façade. 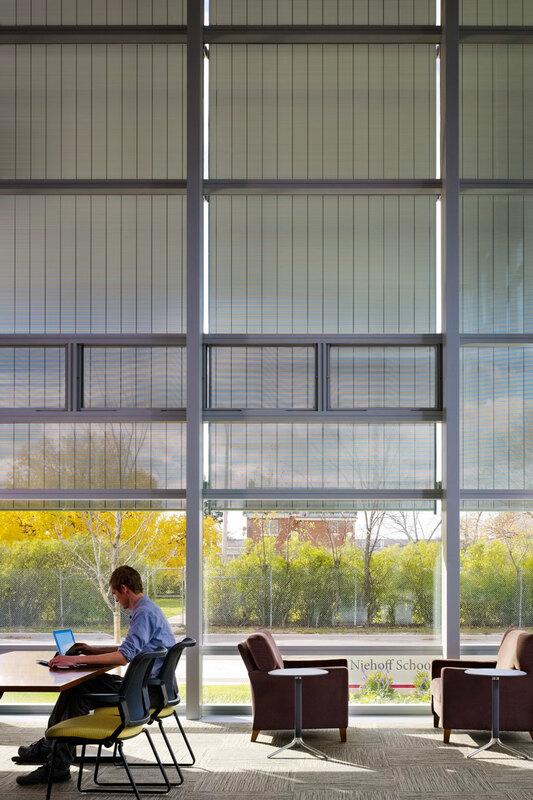 An operable exterior shading screen on the ‘feature wall’ of the west façade enables a highly transparent event/study space without penalizing comfort or energy use. 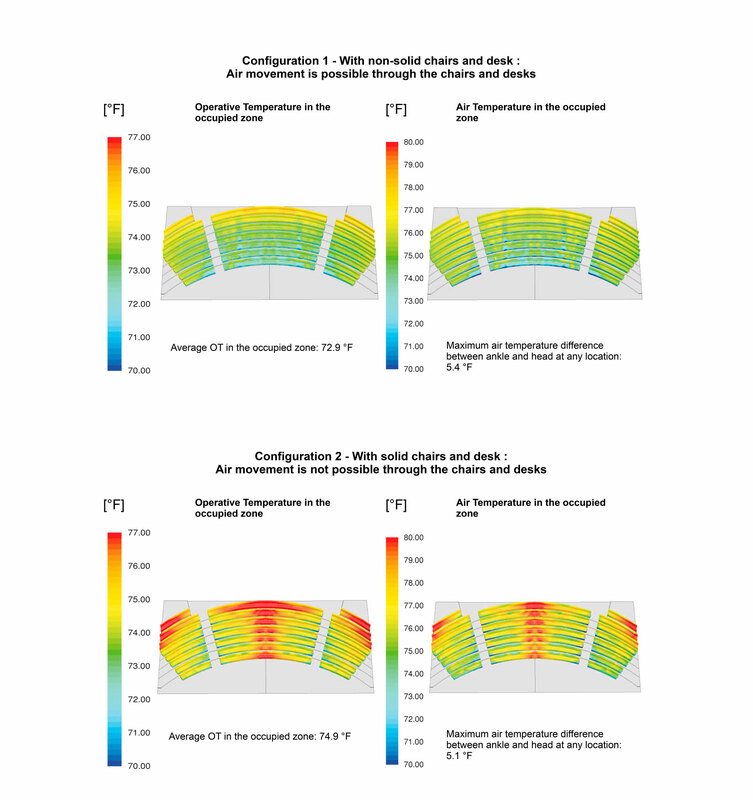 Transsolar developed the overall architectural and mechanical climate concept, performed thermal, daylight, and computational fluid dynamic simulation to tune and verify comfort performance of the architectural and mechanical systems, and ensured ongoing integration of the architectural and mechanical design. The building’s site energy consumption is predicted at 43 kBtu/ft²/year - a 38% reduction compared to an ASHRAE 90.1-2007 energy code-compliant design.